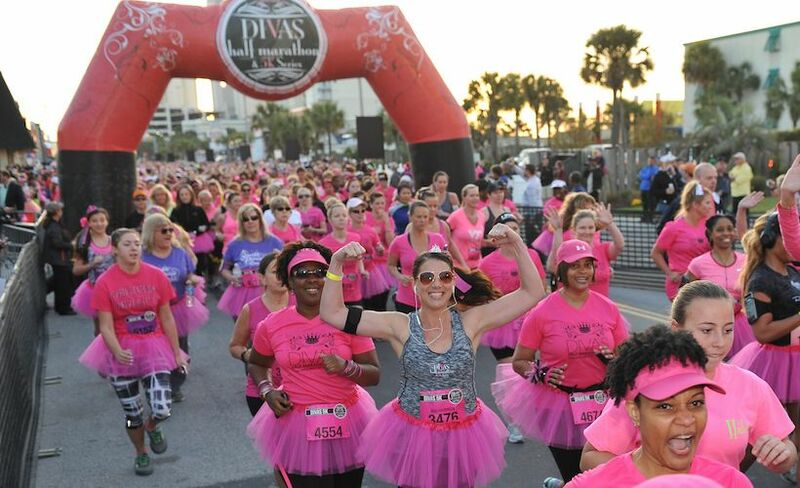 Photo of the Divas Half Marathon by Katty Payne. Make your half-marathon or marathon debut at these beginner-friendly destination races. Ebben is certainly not alone in turning a race into a “race-cation” and purposefully selecting a marathon in a more far-flung locale. Destination races have become a go-to option for girls’ weekends as well as for newbies who need a bit of an extra push to stay motivated—and committed. After all, once you pony up the registration fee, reserve the flights and book the hotel room, it’s much harder to back out of it all. Plus, there’s an extra layer of fun and mystique involved in racing in a new-to-you location. So if you’re thinking about making a trip out of your next (or first!) marathon or half, check out some of these top destination races. The draw: With a course that winds through the Magic Kingdom, Epcot, Hollywood Studios and Animal Kingdom, you get insider access to the Disney parks. If you’re not shooting for a particular time, you can even hop off the course and onto rides like Expedition Everest, open to runners sans lines. Along the course, characters cheer you on, the miles are marked with screens playing beloved Disney movies and characters usher you to the finish line, where you’ll collect your coveted medal. Other options: Feeling bold? You can register for the famed “Dopey Challenge”—four races (5K, 10K, half marathon and marathon) in four days. And if January doesn’t work for you, Disney offers races nearly year-round with all sorts of themes from Star Wars to princesses. Check out rundisney.com for a list of races and to register. The destination: Las Vegas, Nev. The draw: This event—featuring a marathon and a half—offers the rare opportunity to run the glittering Las Vegas Strip after dark with a course entirely closed to traffic. With a 4:30 p.m. start, runners are first greeted with a stellar sunset over the nearby Mojave Desert before heading into the night—and down Las Vegas Boulevard. 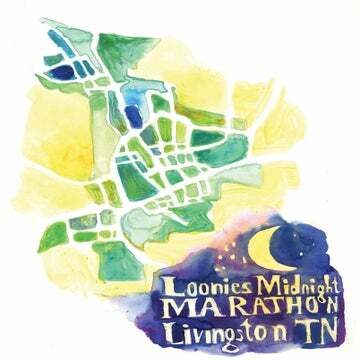 As with all Rock ‘n’ Roll races, there’s plenty of entertainment along the way (expect at least one Elvis impersonator, natch), and your race entry automatically includes a ticket to a concert the night before the race. Past headliners have included the Goo Goo Dolls and Snoop Dogg. Other options: If Vegas isn’t your scene, you can still rock and roll your way through other major cities from San Diego to Savannah. Head to runrocknroll.com for a list of races around the world. The draw: This race features breathtaking views on a course that hugs the Pacific Ocean and finishes in the shadows of skyscrapers in downtown Vancouver—which just so happens to serve as the headquarters of Lululemon, a main sponsor of the race. Pop into the expo for Lulu gear branded just for the race, or simply take home the sweet swag given to all entrants, including the exclusive SeaWheeze Half Marathon shorts. And the fun doesn’t end at the finish line: The SeaWheeze Sunset Festival, which kicks off at 4:30 p.m. post-race, begins as a massive yoga session and ends in an epic dance party. The draw: The half marathon caps a weekend featuring a 5K fun run and a 10K race over the course of three days. (Run them all and earn a bonus medal for your efforts.) The out-and-back course starts and ends in Old San Juan with its historic fortresses. Cobblestone streets take you throughout this capital city, which has impressively rebounded from the devastation of 2017’s Hurricane Maria. With tropical beach vibes and an upbeat party atmosphere along the way, you can’t help but cha-cha to the finish line. The destination: North Myrtle Beach, S.C. The draw: This women-only race really pampers its participants: From flutes of champagne at the finish line to bright pink tutus for all runners, the glam game is strong. The Myrtle Beach half marathon leads runners down the town’s Grand Strand before the race passes golf courses, high-end neighborhoods and unrivaled views of the Atlantic coastline. Bonus: In addition to the finisher medals, all runners go home with a charm exclusive to each race. 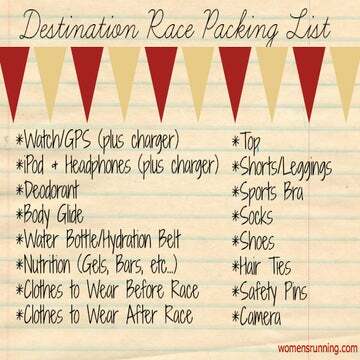 Other options: There are Divas races in several other destinations. So if the beach isn’t your thing, you can get the same diva treatment in places like Northern Virginia’s Wine Country or Calgary, Canada.